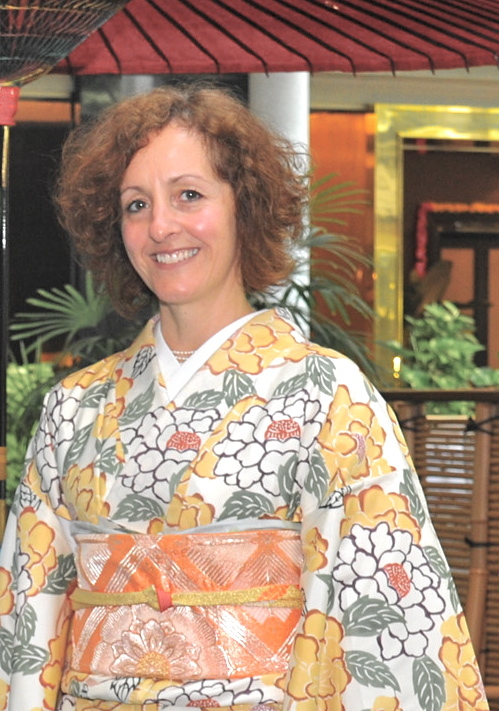 When I saw my first Japanese dressed in Kimono on the streets of Tokyo – I was so surprised as I hadn’t expected people to wander around shopping in the traditional dress. 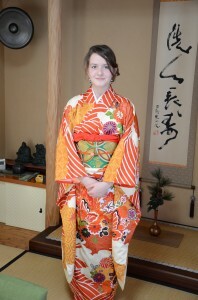 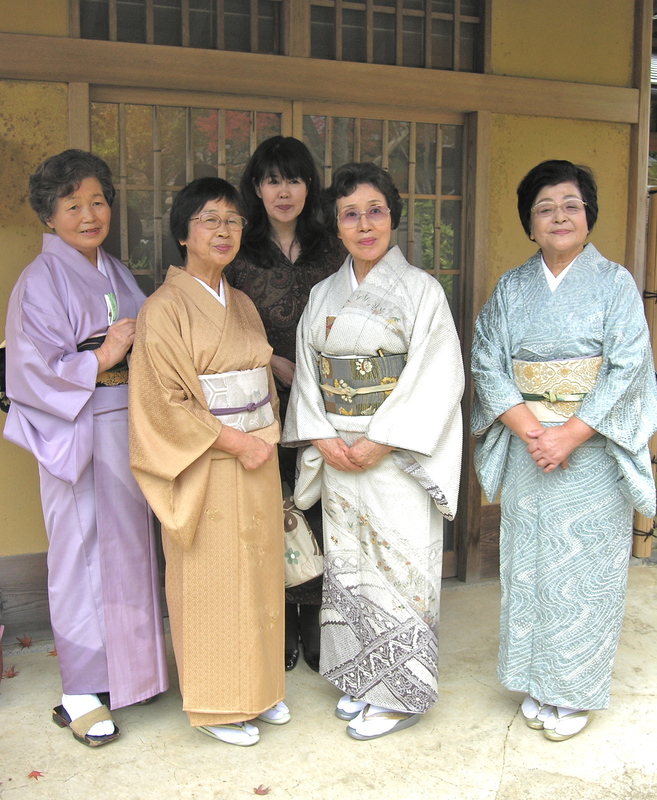 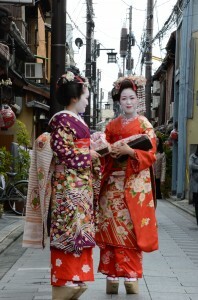 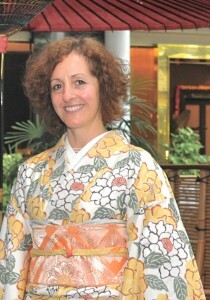 It is, however, not uncommon to see ladies (and men) of all ages out and about in Kimono. Usually they are dressed to go to a special celebration but in August there are many festivals so it is a much more common sight. 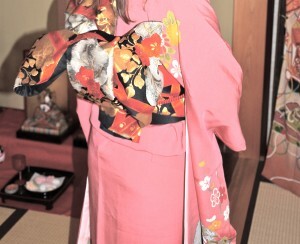 Kimonos are so beautiful and I love the combination of colours and patterns that are put together in the layers of dress. I am so in love with Japanese textiles, particularly those that are used in traditional dress and my favourite pastime is wandering around markets looking at the antique kimonos and obis (the wide, stiffened sash that wraps around the waist). 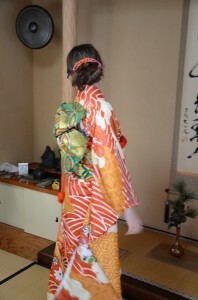 Over the next few days I will be posting some pictures, observations and information about Kimono but to whet your appetite here are a few pictures of my family and me (plus a few other people) all dressed up! 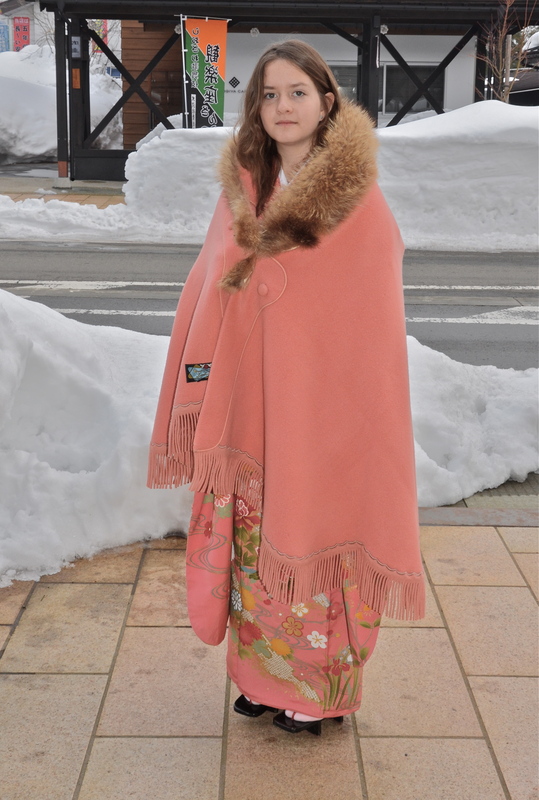 Another layer over the kimono to keep out the cold! Thank you for your suggestion! 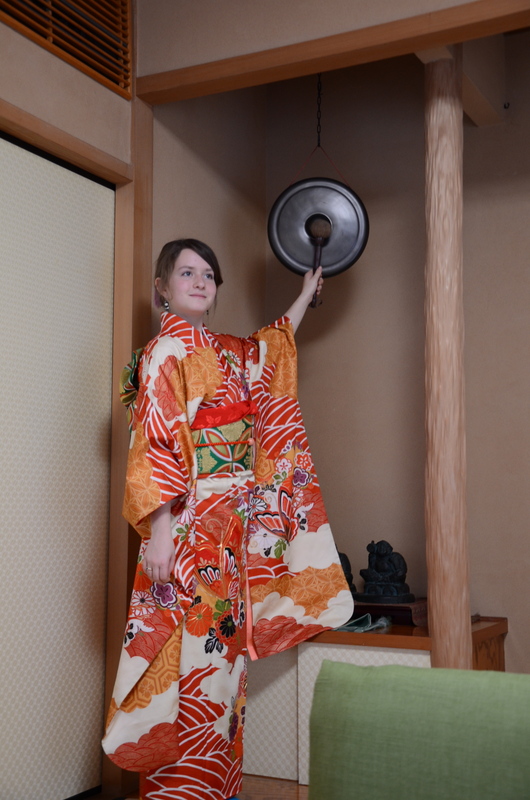 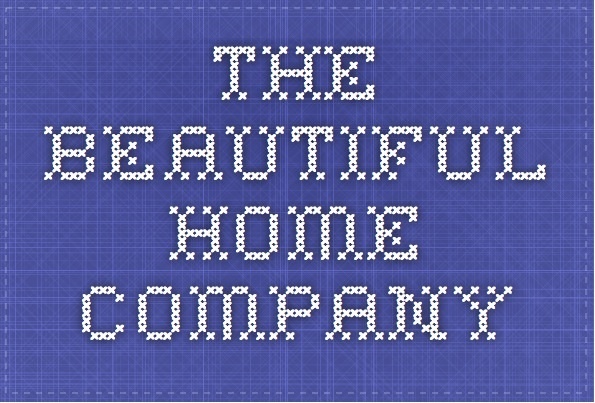 I am still learning (slowly) – there’s loads I want to do.